Lace yoke with ruffle detail. Short length slightly fluted lace sleeves. Length approx 25". Bust approx 18" laid flat. Sizing Guide. ALL CLOTHING. A deduction may be made to cover the cost of the item if it is not received back in the condition it was sent. DRESSES & SKIRTS. NON EU COUNTRIES. Austria, Belgium, Bulgaria, Croatia, Cyprus, Czech Republic, Denmark, Estonia Finland, France, Germany, Gibraltar, Greece, Hungary, Ireland, Italy, Latvia, Lithuania, Luxembourg, Malta,, Netherlands, Poland, Portugal, Romania, Slovakia, Slovenia, Spain, Sweden. Upgrade your tee-and-jeans look with this pretty frill T-shirt from V by Very Petite. Size 10 Petite. Size 14 Petite. Pink Mix Floral Print. pretty floral print pattern. v neckline with frill trim detail. Next petite top. Size 12. Next sleeveless floral top. 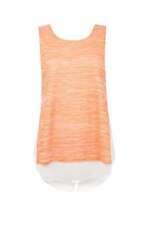 This top has a small button to fasten to the neck. Size 12 petite. Viscose mix. Shows no signs of wear. Well that's the interesting part done, now onto the formal boring stuff - sorry I'll be as brief as possible! Wrap front buckle still wrapped. 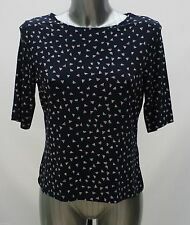 BHS Petite Range Ladies Top. Size 16. Style Is Cardigan With Inset T-Shirt. BHS Petite Range Ladies Top. Size 16. Style Is Cardigan With Inset T-Shirt.Condition is Used, only worn once. Dispatched with Royal Mail 2nd Class. New next print sleeveless blouse top. cream green navy mix print. v neck cut out 2 button fastening at back. WOMAN'S WHITE ELASTICATED BODICE. ELASTICATED NECKLINE. ALL ELASTICATED. 'ATMOSPHERE'. CROPPED TOP. PETITE SIZE 14. (A VERY SMALL DOT MARK ON FRONT. LENGTH FROM ARMPIT - 7". ). Top to Bottom - 25". There may be a little bobbling or a few loose threads, but if there are any other larger problems, I will be very happy to help solve the issue MISTAKES DO HAPPEN. Armpit to Armpit - 21" (overall chest size 42"). Size 10 across chest Laid Flat 19" Nape to hem 21". 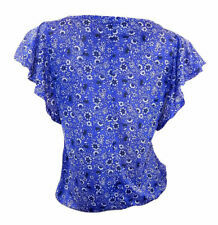 flower print viscose blouse from next. . Size 14. Petite. Vgc. Condition is Used. Dispatched with Royal Mail Signed For® 2nd Class. Principles Petite. Multi Print. tie belt to back. length from top of shoulder to hemline: 24". been worn but still in good condition. armpit to armpit: 20". Petite Next Tunic Top. Condition is Used. Dispatched with Royal Mail 2nd Class.